Tim has particular expertise in commercial and regulatory matters, acting in disputes across the full range of regulated industries, including energy, water, telecoms, aviation, financial services, gambling and sport. His practice is increasingly international. He has appeared in more than 50 cases before the European Courts (including the EFTA Court) and has over 30 reported cases in the field of public law, including before the Supreme Court. Prior to taking silk, Tim was a member of the Attorney General’s A Panel. Tim sits as an adjudicator on the judicial panels of both the Rugby Football Union and the Football Association. 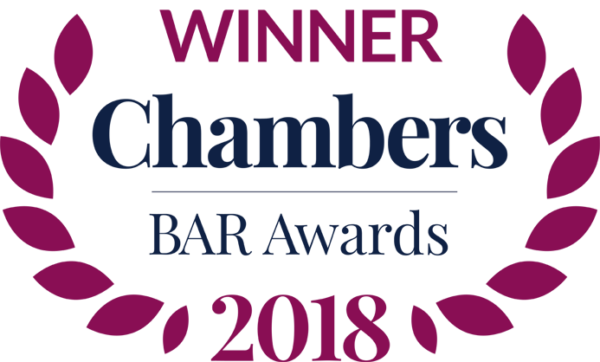 Tim was awarded ‘Barrister of the Year’ at The Lawyer Awards 2013 and was Chairman of the Bar European Group, 2013-2015. He is a Bencher of Gray’s Inn. Royal Mail v DAF (trucks). Unlockd v Google (alleged abuse of dominant position). Tesco Stores v MasterCard and Visa (interchange fees). Emerald Supplies v British Airways (Air Cargo, acting for Korean Air). Arriva v Luton Airport: standalone damages claim for abuse of dominant position. Sony v AUO & Ors: (LCD screens). National Grid v ABB: (Gas Insulated Switchgear). WH Newson: (copper tubes and copper fittings). WH Newson: follow-on cartel damages action (copper fittings). Electrical Waste Recycling Group v Philips & Ors: stand alone competition law damages. SEL Imperial v British Standards Institute stand alone claim concerning standard setting. HCA v Competition and Markets Authority: challenge to healthcare market investigation. Skyscanner v Competition and Markets Authority  CAT 16: challenge to decision to accept commitments. AC Neilson v Competition and Markets Authority [2014[ CAT 8: challenge to Phase I merger decision. 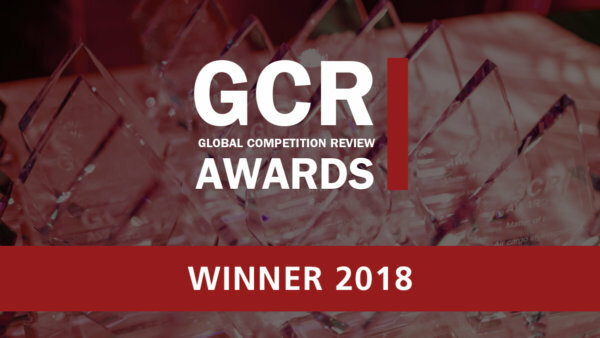 AkzoNobel NV v Competition Commission  EWCA Civ 482: challenge to jurisdiction of the CC in respect of overseas mergers. AC wGSN/Stylesight, 2014: merger clearance. Barclays Bank v Competition Commission  CAT 27: judicial review of Competition Commission’s report on payment protection insurance. Tesco v Competition Commission  CAT 6: judicial review of the planning remedy proposed by the Competition Commission as a result of its Groceries Market Investigation. In re: penalty proceedings, 2018. In re: penalty proceedings, 2017. In re: pharmaceuticals , 2013. Tesco v Office of Fair Trading, 2011: Chapter I penalty and retail pricing. Sepia Logistics v OFT  CAT 13: penalty for breach of Chapter I prohibition in construction sector. Makers v OFT  CAT 11: penalty for bid rigging contrary to Chapter I prohibition. Healthcare at Home v Genzyme (2006):action for damages arising out of an infringement of the Chapter II prohibition. Powers of a sports regulator. Chapter II prohibition and water supply agreement. Legality of long term contracts for a major utility. Abuse of dominant position on behalf of an electricity generator. State aids and utility licensing. Tim has been a market leader in telecommunications for many years. His practice draws upon a detailed knowledge of the industry and his strengths in competition law and public law. He has been instructed in most of the significant telecoms issues in the UK in the last decade, as well acting for a number of international clients. His litigation experience includes judicial reviews, appeals to the Competition Appeal Tribunal, competition investigations and dispute resolution. Tim has acted for fixed, mobile and cable operators, a variety of broadcasters and (occasionally) for regulators, in matters such as those listed below. Spectrum: Tim acted for Telefonica O2 in the successful defense of the judicial review claims brought by BT and Hutchison 3G, challenging Ofcom’s determination as to the rules of the forthcoming auction of 2.3 and 3.4 GHz spectrum. The claim was dismissed by the Court of Appeal in February 2018. Tim is currently acting for one of the parties in an overseas dispute over mobile spectrum. He has advised in respect of spectrum allocation for many years, addressing questions of due process, auction strategy, competition implications and various technical questions. Satellite spectrum: Tim acted for Inmarsat in a challenge brought in the Competition Appeal Tribunal by Viasat, concerning the use of spectrum for provision of broadband services for aviation. He also has experience in satellite spectrum, acting for Ofcom in R (Government of Bermuda) v Ofcom  EWHC 2009 (Admin). Competition investigations: Tim has acted in respect of competition investigations relating to telecoms in the UK and overseas. License conditions: Tim has frequently acted in disputes concerning the terms of telecommunications licenses, both in the UK and overseas. He recently acted for an operator in the Caribbean on such an issue and a UK provider in a confidential matter of this kind i.
Non-geographic numbering: Tim acted for Vodafone and 02 in lengthy litigation over BT’s charging structure for non-geographic numbering: BT v Ofcom (2011 – 2016). Tim also acted for the regulator Payphone Plus in a judicial review challenge to concerning penalty action against a provider of premium rate services: R (Ordanduu and Optimus) v PhonepayPlus  EWHC 50. Market definition: Tim has advised on a number of occasions as to market definition issues which bear on charge control regulation. He acted for BT in support of Ofcom in a challenge to the definition of rural broadband markets: TalkTalk v Ofcom  CAT 1. Wholesale charge controls: Tim acted for BT in a series of challenges before the Competition Appeal Tribunal and Competition Commission concerning the conditions of access to BT’s copper wire network, and the terms of the charge controls which govern various wholesale products; eg BT v Ofcom  CAT 24. Carphone Warehouse v Ofcom  CAT 27 (local loop unbundling) Cable & Wireless v Ofcom  CAT 23 (leased lines). Mobile termination charges: Tim acted for Vodafone in successfully defending a challenge to its approach to mobile call termination charges  CAT 28 and before the Court of Appeal in a successful appeal in a successful challenge to retrospective variation to mobile termination charges: Vodafone v Ofcom  3 All ER 1028. Mobile roaming charges: Tim acted in the European Court of Justice for the UK Government, successfully defending the EU’s regulation of mobile phone roaming charges: C-58/08 Vodafone v Secretary of State, 2010. Broadcasting: Tim acted for a major broadcaster in respect of TV distribution rights in 2018. He acted in litigation concerning the regulation of Sky pay TV content (BSkyB v Ofcom) and in a challenge to its channel numbering policy: JML v Freesat  EWCA Civ 34. He has given advice on a wide range of broadcasting issues including sports rights, equal access and competition. Number portability: Tim acted for Vodafone in a successful challenge to Ofcom’s policy governing number portability: Vodafone v Ofcom,  CAT 12. Tim has exceptionally broad experience of litigation and advocacy before the European Courts. 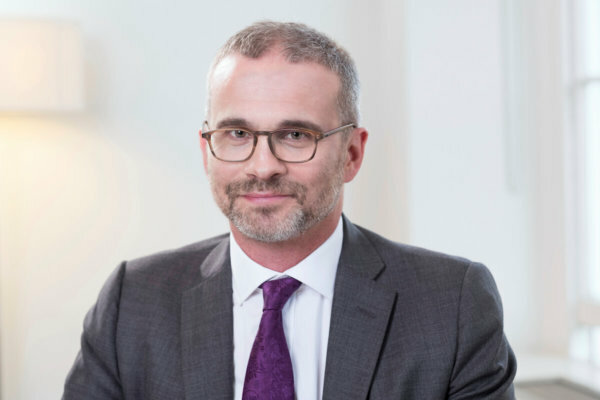 He has wide experience of litigating EU law issues in the domestic courts including the Supreme Court, and has acted in a large number of references from the English courts to the CJEU. He has appeared in cases concerning sanctions, direct and indirect tax, telecoms, free movement, conflicts of laws, single market, external relations and the environment. He has acted in over 50 cases before the European Courts including the EFTA Court. R(Nouazli) v SSHD  1 WLR 1565: successful defence of Supreme Court appeal under EU law to free movement legislation. C-202/13 McCarthy v Secretary of State: free movement of persons and Frontiers Protocol. C-80/14 USDAW v Secretary of State, CA: collective redundancy. E-16/11 EFTA Surveillance Authority v Iceland: successfully defended the Icelandic Government against infraction proceedings in the EFTA Court arising out of failure of Icesave bank. C-393/10 O’Brien: reference from Supreme Court regarding pension claims of part-time judges. C-40/10 Commission v Parliament: challenge to increase in remuneration for EU officials. Lekpo-Bozua v LB Hackney (2010) HLR 46: EU citizenship. C-543/09 Deutsche Telekom: telephone directory services. C-434/09 McCarthy: reference from Supreme Court concerning EU citizenship. FA Premier League v QC Leisure (2009) 1 WLR 1603: import of set top boxes from within the EU and use by English pubs. C-428/08 United Kingdom v Council: challenge to validity of EU anti-terrorism legislation. C-127/08 Metock: rights of third country nationals. C-175/08 Abdullah: compatibility of EU legislation with international human rights law. C-58/08 O2, Vodafone v Secretary of State: mobile phone roaming charges. Jeleniewicz v Secretary of State for Work and Pensions  EWCA Civ 1163: free movement of persons. C-485/07 Akdas: interpretation of treaty governing EU external relations. T-257/07 France v Commission: validity of BSE regulations. C-350/06 Stringer: reference from the Supreme Court concerning working time. C-475/05 Banca Popolare di Cremona: direct tax and prospective temporal limitation. C-432/05 Unibet: test for grant of interim relief in national courts. C-298/05 Columbus Container Services: effect of double taxation convention. C-101/05 A: restrictions on free movement of capital between the EU and third countries. C-491/01 R(British American Tobacco) v Secretary of State: validity of tobacco control directive. R(Factortame) v Secretary of State for Transport: damages for breach of EU law. 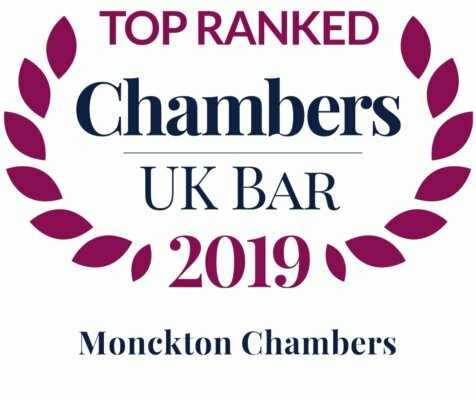 “A really good advocate, good w and really knows the law.” – Chambers UK, 2018. Tim’s public law practice is predominantly concerned with commercial, European, and regulatory challenges, including tax matters. He has, however, acted in almost every conceivable kind of public matter in both domestic and in the CJEU and ECtHR. He has particular expertise in cases where public law and EU law overlap. R(Chiltern Farm Chemicals) v HSE  1 WLR 3144, CA: successful appeal re: EU pesticides regulation. Re: Quality Contracts Scheme (2015): successful challenge to proposed model of bus regulation . R(Ordanduu and Optimus) v PhonepayPlus  EWHC 50 Admin : premium rate phone service regulation. AkzoNobel NV v Competition Commission  1 All ER 693 CA: judicial review of merger decision. R(Drax Power) v Secretary of State  EWCA Civ 1153: challenge to renewable energy regime. HCA v Competition and Markets Authority (2014): challenge to healthcare market investigation. AC Neilson v Competition and Markets Authority  CAT 8: challenge to Phase I merger decision. London Welsh v RFU (2012): acted on the Panel determining appeal by London Welsh against refusal of promotion on competition grounds. R(Shoesmith) v Ofsted & Ors, (2011) ICR 1195: procedural fairness of inspection of Children’s Services. R(Global Knafaim) v BAA and CAA, (2011) 1 Lloyd’s Rep 324: legality of detention of aircraft for unpaid charges. Boots v HMRC (2010) STC 657: legal consequences of mistaken repayment. Langley v Preston Crown Court (2009) 1 WLR 1612: scope of right of appeal and of judicial review. X v Switzerland (2009): ECtHR challenge to Swiss financial services regulation and mutual assistance. Gallagher v Church of Latter Day Saints  UKHL 56, (2008) 1 WLR 1852: challenge to tax on grounds of religious discrimination, now before ECtHR. R(Government of Bermuda) v Ofcom  EWHC 2009 (Admin): judicial review concerning allocation of satellite spectrum. R(Couronne) v Crawley BC (2008) 1 WLR 2762: rights of Chagos Islanders. R(Federation of Tour Operators) v HM Treasury, (2008) STC 2524: human rights and EC law challenge to increase in Air Passenger Duty. R(EISAI) and Alzheimer’s Association v NICE (2007) BMLR 70: challenge to regulation of availability of Alzheimer’s drugs. R(British Casino Association) v Secretary of State  EWHC 1312 (Admin): challenge to new gambling legislation. TH v Secretary of State (2007) 1 WLR 1670: susceptibility of decision to judicial review. Farley v Child Support Agency  UKHL 1; (2006) 1 WLR 817: scope of statutory immunity from challenge. R (Corporation of London) v Secretary of State  UKHL 30; (2006) 1 WLR 1721: scope of statutory powers. R(AN) v Secretary of State (2006) QB 468: civil standard of proof. Han & Yau v HMRC (2001) 1 WLR 2253: regulatory penalties and human rights. R(North and East Devon HA) v Coughlan (2001) QB 213: substantive legitimate expectation. 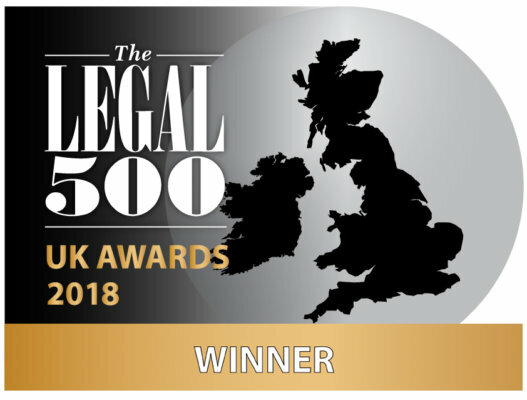 ‘‘Excellent in his understanding of procedure and how a matter is likely to play out.’’ Tim Ward was ranked by Legal 500, 2015 in Administrative and Public Law, EU and Competition Law and Telecoms Law as a Leading Silk. His publications include three books: Competition Litigation in the UK (with Kassie Smith, Sweet & Maxwell 2005), Judicial Review and the Human Rights Act (2000) and The Strasbourg Case Law – Leading Cases from the European Human Rights Reports (2001). He is Editor in Chief of the Human Rights Law Reports – UK Cases (Sweet & Maxwell) and Contributor to The European Union Law of Competition (Bellamy & Child). Tim was awarded ‘Barrister of the Year’ at The Lawyer Awards 2013, details of which can be viewed here. Tim was elected as Chairman of the Bar European Group, 2013-2015. In 2013, Tim was appointed to the Rugby Football Union panel to sit as an adjudicator hearing appeals concerning competition issues. In 2018 he was appointed to the Football Association judicial panel.